All in all, NISM Series VIII : NISM Equity Derivatives Certification Examination (EDCE) means to form a common least knowledge standard as the requisite standard for associated persons functioning as approved users and sales personnel of the trading member of an equity derivatives exchange or equity derivatives segment of a recognized stock exchange. This online exam intends to allow a better understanding of various derivatives products available in equity derivatives markets, regulations and risks linked with the products and the exchange methods of clearing and conclusion. 1. Who can take NISM Series VIII : NISM Equity Derivatives Certification Examination (EDCE)? a. Associated persons including distributors, agents, brokers, sub-brokers or called by any other name, employed or engaged or to be employed or engaged in the sale and/or distribution of mutual fund products. 2. How can I register for NISM Series VIII : NISM Equity Derivatives Certification Examination (EDCE)? Intelivisto is considered to assist participants get in-depth knowledge to one of the biggest and complex asset class known as equity derivatives and provides aspirants the useful knowledge and operational skills-sets necessary for associated persons in the equity derivatives segment. This e-learning solutions provider is determined to widen its support to participants in clearing Security Market Certifications like NISM Series VIII : NISM Equity Derivatives Certification examination (EDCE). Sure! only a name is enabled to make its fame that drives you close to your destination, so is Intelivisto. Known as the best e-learning solutions and online exam preparation provider (NISM certifications, its Derivatives and Derivatives Certification and Online Test Preparation for various financial courses), intelivisto is fully destined about. The company has successfully marked its valuable footprints among its students, and now known as one of the fastest growing online assessment portals in India that means to avail good quality and reasonable online test preparation to students. Available 24x7, this online educational portal befalls committed to online test, Practice test paper, sample paper and a platform that facilitates candidates to the optimum options. Needless to utter words more in glorifying for Intelivisto, this pioneering expertise enabled-platform gives online practice test questions and answers with details written definably by its marketing experts. Intelivisto has its presence vital to abide by a variety of convenience standards that make sure to learners can take part fully in online courses without coming across all the barriers. Also consider that its bespoke learning management system lets effective management, credentials, tracking, and coverage of e-learning programs, online events and teaching content. At Intelivisto, it is meant to know its solid learning system that gives combined training programs on a scalable web-based platform, supporting portability and standards with modified content and allows facts reuse. Having been discussed precisely over Intelivisto, it has come clear that this is truly an e-learning solution to help its students score best in their online test preparation for various financial courses, such as NISM, NSE, BSE and so on. Covers he different topics drawn for mutual fund distributors certification in small details. 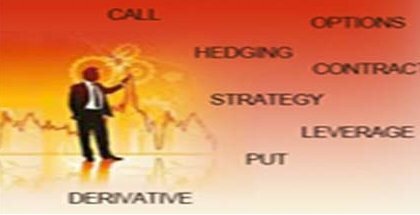 Obtain in depth knowledge of equity derivatives through our trainings and workshops and build up basic trading strategies easily. At Intelivisto, to crack NISM Series VIII : NISM Equity Derivatives Certification examination (EDCE) with confidence, you need to get ready. We would be more than happy to assist you in your endeavor to not only get the certification but also to furnish you with the necessary skills-set. If you wish to obtain mock test, you may act so after registering with us; which is completely free of charge and afterwards you could access our diverse product categories and receive particular products mock test.